The day is soon to arrive when we’ll hook up the Airstream to our new truck and drive outta here! We have less than thirty days to go until we start our road journey. I’ve never felt such a huge range of emotions in my life. I have an insane amount of excitement, joy and impatience about leaving. I can’t wait to start exploring the U.S. and finally see the things we’ve been talking about for the past several years. I have an insane amount of sadness, trepidation and nostalgia about leaving our family and friends in Chicago. We are blessed with a wonderful group of people who love us and support us, and it will be hard to say good-bye to these folks. I have an insanely long to do list, with finishing up our purging, packing, selling, etc. The To Do List continues to grow, even as we cross big items off the list. So these upcoming days will probably be a roller coaster of emotions, and I’m ready for the ride. As they say, when one thing ends, another thing begins….. or one ending is another beginning, something like that. Chicago has been my home for twenty-three years. I’ve lived here longer than any other place in my life, and most of those twenty-three years has been spent in Roscoe Village. But I think that it’s time I break up with Chicago. It’s becoming very hard to live here. I LOVE Chicago, and I HATE Chicago. It’s the weirdest thing. I love that I have lived here so long, but I hate that I have lived here so long. 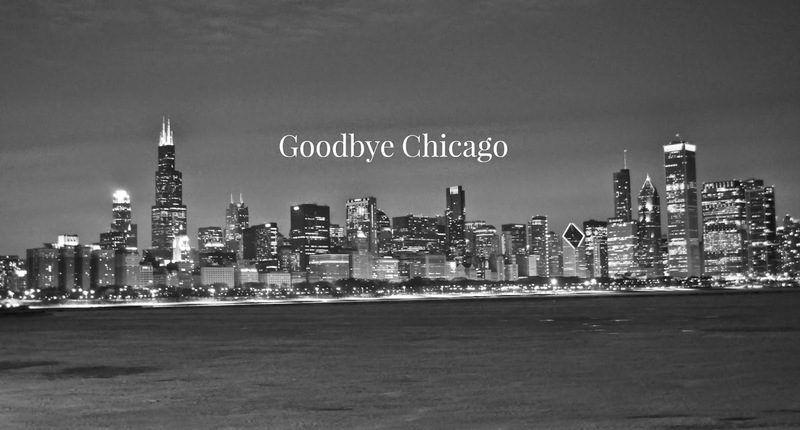 I know for me personally, that it’s time to leave Chicago. It’s time for a new beginning. For the kids, they are feeling the sadness of saying good-bye to their friends. They have the fear that maybe their friends will forget about them, or they won’t be able to stay in touch like they would like to. I think they have the fear of leaving their comfortable routine. Their world right now is small, convenient and safe. We are asking them to leave that world for an adventure that will be big, unpredictable and constantly changing. But I am very proud of their positive attitude about the trip. Adventure is scary and we are preparing for working through those emotions. Surprisingly, the easiest part of this transition period has been purging our things!! We are finding this process liberating. When you start to see emptier rooms and cabinets, I am feeling a profound sense of joy that I didn’t expect. I feel a new connection to the things I do have. Why do I have eight coffee mugs when I only need two? Why do I own so many shoes, when I only regularly wear four pairs anyway? How did we even accumulate this many post-it notes, lotions, parmesan cheese packets and decks of cards? They must have been dropped by some strange “gift fairy” during the night, as I have no recollection or knowledge of how we could have accumulated so many random items!! It’s so much easier to dress in the morning when you have a third of the amount of clothes, all of which you desperately love. Even purging some of the more personal items have been fun. I have enjoyed the memories that some items bring, but I don’t need to keep that item to recall that memory. A photograph of the item will do. So, what are we doing with all of our stuff? We are keeping the things we love and just cannot part with in a storage unit. Our dining rooms set, mattresses, a book case, a secretary and an armoire is about all the furniture we are keeping. The rest of our furniture we are either selling or donating. The kids have been great about purging their room and toys, and they are storing two boxes of toys and books and donating the rest. I was really proud of their ability to let go of things, until I realized that they only play with about six items and the rest just hang around their room collecting dust. I have found it hard to get rid of my clothes, and I am storing a box of my favorite items that I just can’t part with. I had some friends over for wine and they helped me purge my closet, taking a great many items that I no longer wanted but wanted to go to a good home. The rest I’ll try to sell on consignment or just donate. Overall, we are feeling really good about the final days here in Chicago and the excitement of a major life change. We are feeling so many conflicting emotions, in the most fun way possible!! I am nervous but totally calm. I am scatter brained but totally focused. I am gloriously happy but a bit sad. I am 100% ready to see what life on the road will be like and ready to embrace all the new and challenging things that lie in the road ahead of us! The fact that I am doing this with the three people I love most in the world makes me the luckiest gal in the city of Chicago! Wow! what a great adventure. I can understand the roller coaster of emotions you are feeling, but then why should life be stagnant and routine? I roller coaster on a daily basis might be a bit much, but once you are on your way, things will calm down and a different kind of routine will develop, new and adventurous and not quite so confining. I look forward to following your progress and seeing what this upcoming year has in store for you. Good luck as you hit the road.